Cover Story (view full-size image) The annual conference and scientific meeting of the Nutrition Society of New Zealand took place in [...] Read more. 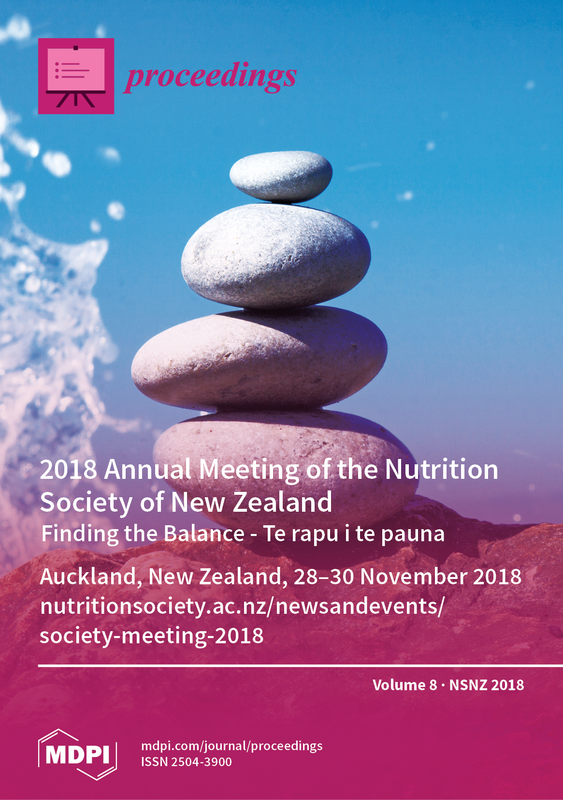 The annual conference and scientific meeting of the Nutrition Society of New Zealand took place in Albany, Auckland, New Zealand from 28-30th November 2018. The meeting comprised 4 plenary sessions, 3 concurrent oral sessions, and 23 posters, providing an opportunity for more than 68 nutritional scientists to present their research. Abstracts for plenary talks, oral presentations and posters are published here. The aim of the annual meeting is to foster discussion and disseminate the results of nutrition-related research undertaken by the members of the society. View this paper. Open AccessAbstract Do Lactose Intolerant Individuals Efficiently Absorb Protein from Acute Milk Consumption?